Christine Grimard doesn’t remember life before writing.In elementary school, she read voraciously, wrote short stories, and collaborated on plays that she and her friends performed for their parents. Her teen years were chronicled in embarrassingly adolescent journal entries and the mandatory collection of angst-filled poetry that she found cathartic butmostly kept to herself. As an adult, Christine has finally realized that writing is more than a solitary personal journey and has learned to share. In 2008, Christine was published in Geist magazine, as part of the winning group entry at the Vancouver Writers Fest event,Vancouver Writes. Hersecond contest-winning storythat year appeared in another, unnamed magazine. (Alright, so she’s not ready to share everything.) 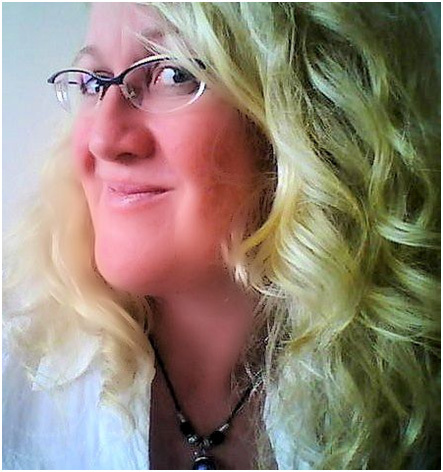 Her short, creative nonfiction piece, Bull’s Eye, appeared in The Writer’s Studio anthology Emerge,2009. More of her writing is included in the New West Writers’ anthology, Saving Seeds, published in 2014. Not surprisingly, Christine makes her living working with words as a freelance technical/business writer, editor, and information consultant. Shehas earned a BA in psychology, a technical writing certificate, an entrepreneurial certificate, and graduated from The Writer’s Studio creative writing program at Simon Fraser University in 2009. She belongs to New West Writers and startedMission Writers, as well as being a member of the Federation of BC Writers, and the Society for Technical Communication (STC), Canada West Coast chapter. She does public readings and envies the writers who can really put on a performance of their work, seemingly without fear or pharmaceuticals. She sometimes writes a blog to reassure and entertain family and friends while she’s on her frequent trips, though it has been neglected shamefully of late.She currently has three novel manuscripts she’s revising, thanks to an apparent addiction to the 3 Day Novel Contest. One of them, Resurrection, will find its way out into the world later this year. There are numerous short fiction and creative nonfiction pieces in the works, as well as a longer account of her 2010 journey along Spain’s more than 800 kilometer Camino de Santiagode Compostella pilgrimage route. Christine’s developed a passion for photography and is working on combining that with her writing. Contact Christine Grimard at christine@mountainscribe.com, and see more about her at Mountain Scribe and Girl Scribe.